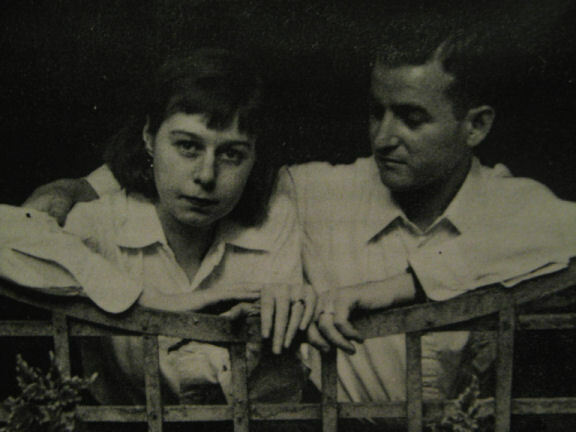 Introduction to my play on Carson McCullers. 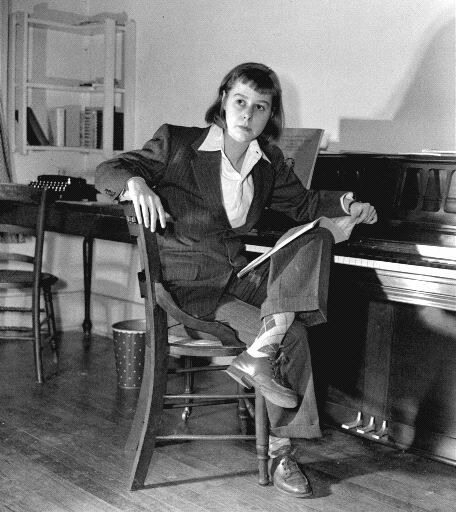 After writing a radio play in 2008 for France Culture on Carson McCullers (Conversation at Nyack), I decided to continue my research on her life. Something still niggled me. The subject seemed ‘half open’ just like the twin stone slabs that covered her grave and her mother’s in Nyack cemetery. One of her biographers noticed that they had moved a little. He assumed it was to be closer to each other. I felt it more like a mute plea or interrupted speech. So, I started a new play, Dead or Alive, for the theatre this time. To me Carson’s voice beyond the tomb was still brimming with life. Death had never been her problem. It had always seemed to be of more use to her than to others. Much more than death, Carson’s true fear was the absence of love. 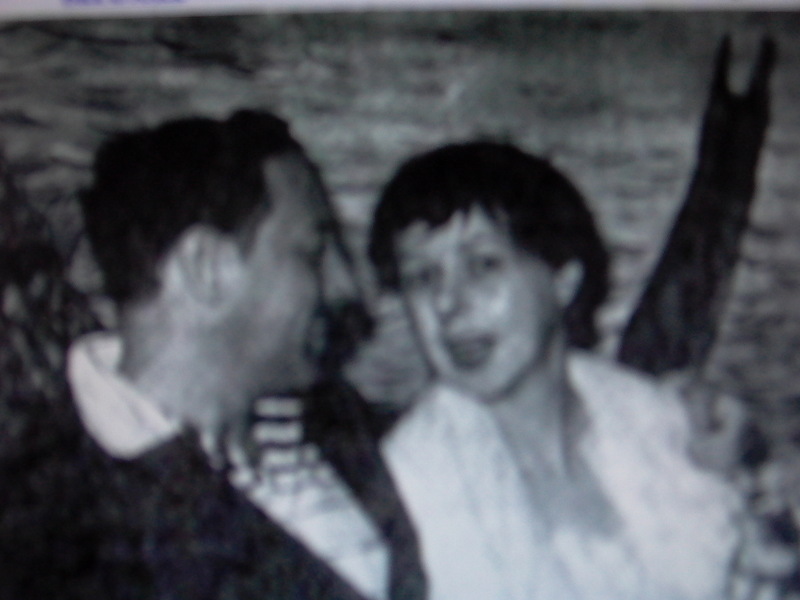 With her friend Tennessee Williams. 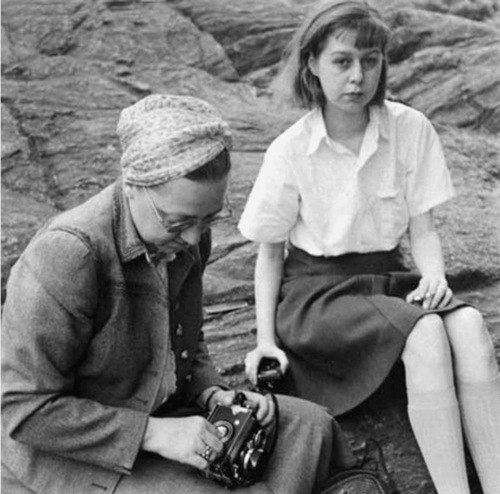 In her novels, it’s often thanks to death that people find the answer they are searching for. They bring back visions and convictions from their childhood much like cosmonauts bring back impressions from their voyage to the moon. Childhood thoughts and the promises that children make to themselves are very clear in their adult minds. If the every day use of one’s imagination brings us to suppose that life is a continuum and therefore does not necessarily stop with our last breath, that life is and always will be, the child in us is the one who whispers this to us. We live in a society where death isn’t PC. Alluding to death, Hades, Tartarus, the Other Side, is good for greasy haired palm readers. Yet death is free of charge. Death is for everyone – for our friends, our lovers, our parents, even our children… When we lose someone, we have a more ‘open’ perception of life’s threshold as if we had reopened the fontanel – that fragile and mysterious area on the baby’s skull that only completely closes up a year and a half after the child’s birth. For some of us, a potential other world is nothing more than the clay to which we return or the uterus from which we are dragged out screaming… Even if for others, consciousness doesn’t end when you kick the bucket… Whatever our intuitions of death, mourning someone we love stops us from immediately consigning the dead to their convenient graves. We converse with the dead for a time and this conversation connects us more deeply to our inner selves. The characters in Dead or Alive use a conversation of this kind to address issues they always avoided when they were alive. Death is the active force that helps them find a favourable outcome to an ancient family dilemma. In the cemetery, Carson gets the elbowroom and the opportunity to deal with her taboos and borrows the courage of her novels’ characters to solve her own problems – a courage she didn’t possess in her lifetime. Stuck in Nyack cemetery with her unresolved problems, she is compelled to tackle the truth and to reveal it to us in the process. Her autobiography Illuminations and Night Glare is a testament to the truth she avoided. As I read, her tone seemed shallow compared to her fiction. Glimpses of sincerity slip through here and there like transparencies but the voice doesn’t ‘speak’ with the authority of her novels. Although her mother was already dead, one had the sense of her reading over her daughter’s shoulder. In this autobiography, their unspoken pact can’t be dissolved as if the omnipresence of Carson’s mother does not give her access to her own psyche. She can only reach the authentic voice in her books through the medium of her imagination. But in the cemetery in Dead or Alive, the two women no longer need to lie to each other to survive. Their lies, their betrayals and their secrets have lost their power once the two women come to accept that they are truly dead. Comparing the voice in her books with the inconsistencies of her autobiography felt like superimposing two unmatching transparencies to get a more complete picture. This is turn helped me to ask more precise questions which I could find no answer to in her biographies or on the web. Then, quite by chance, I unearthed an event, so carefully hidden by her family that it was only recently revealed after the publication of all her biographies on an academic site. Yet, this event completely changes the reading of her life. Everything ineluctably converged on Carson’s mother, Marguerite Smith, nicknamed Bebe by her family: the devoted mother who nursed her genius daughter all her life. A daughter with rheumatic fevers, a daughter who drank with her husband Reeves McCullers, a daughter who suffered sudden unexplained seizures… ‘An admirable mother, full of patience, courage and love…’ In Illuminations and Night Glare, Carson glosses over (except to vent her hate of psychiatrists) her time in a psychiatric hospital, an abortion, her father’s death and her relationship to Reeves, the man she married twice. She doesn’t face up to anything or take any responsibility. Was her husband’s suicide a weight on her conscience? The problem seemed to stem from something beyond her marriage. As if she was incapable of reacting like an adult woman in certain circumstances because the foundations that supported her life were not solid enough. Everything seemed to go back to Carson’s mother and her mysterious grandmother. 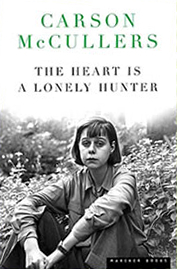 Carson McCullers three major biographers seem to hover around a mystery the authors cannot quite fathom. Even if Jacques Tournier’s, instinctively poetic, intuits Carson’s true voice almost clairvoyantly. Josyane Savigneau who resurrects Carson with vigour and genius is the only one to comment on a secret, of which Mary Mercer, Carson’s therapist and friend, seems to hold the key. (Virginia Carr’s enormous pile stuffed with anecdotes is curiously bereft of any echo of Carson as if she had just walked out of the room on the first page.) Yet, no one seem to question the omnipresent mother, no one has any insights about the family’s sudden departure to Nyack near New York – a disquieting undertaking for a family of deep Southerners. But the sacred, untouchable mother, like Mecca’s Black Stone, rises in the background of all Carson’s mysteries. Carson’s complaints about her husband Reeves are a smoke screen that hides abortion, hospital confinement and the death she hardly speaks about. Reeves himself is also close to Marguerite Smith. He was part of the parties she gave to discuss avant-garde ideas and politics. It was even suspected in Columbus, their hometown, that Marguerite had written her daughter’s books. Marguerite is the magnetic centre of a vortex. I have built my play around three dead characters who have urgent business to settle with each other. A secret they conspired to keep hidden poisoned their lives. Dead or Alive brings out in the open, so they can deal with it and reach out to each other at last.